If you're a fan of Arby's gyro meat, you'll be happy to know that they're keeping it and the Traditional Greek Gyro around permanently as part of the regular menu. The item was first introduced last year and brought back this year as a limited time item. According to the chain, they're "adding it to the permanent menu after incredible guest response to the limited offering for the second year in a row." 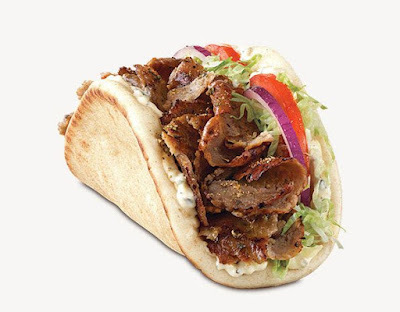 A Bloomberg report states that Arby's sold 6.5 million gyros in April this year compared to 6.1 million gyros last year. The Traditional Greek Gyro consists of gyro meat, tzatziki sauce, gyro seasoning, red onion, lettuce, tomato, and iceberg lettuce folded in a warm flatbread.